A text typeface family by Jens Kutilek. In work since 2012, released in 2015. 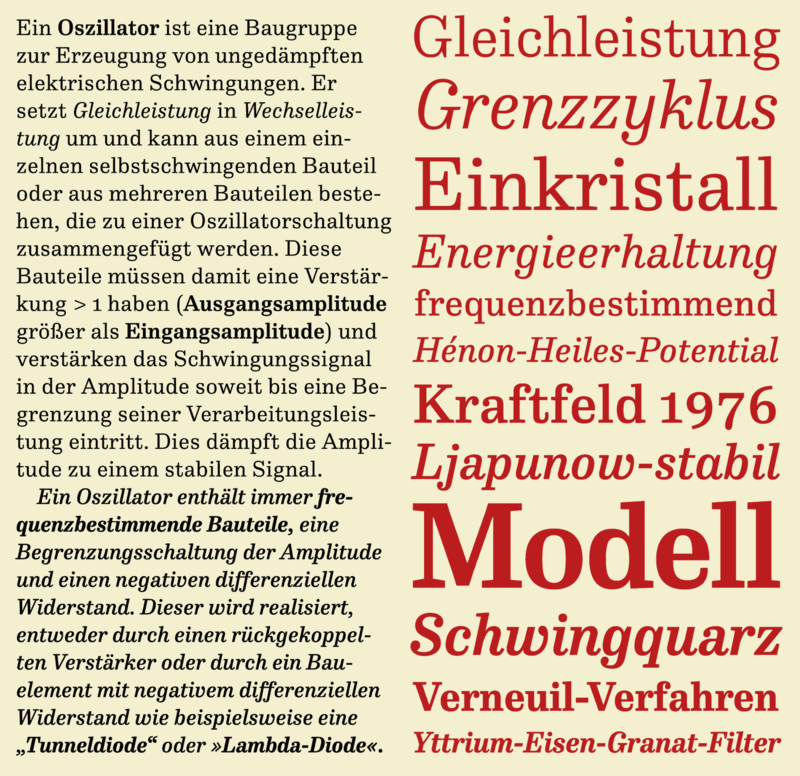 Frank Grießhammer named FF Hertz ‘one of the best typefaces of 2015’ for the Typographica ‘Our Favorite Typefaces of 2015’ review series. I’m flattered and honored! David Sudweeks interviewed me for FontShop. I began work on FF Hertz in 2012. From a drawing exercise on a low-resolution grid (a technique proposed by Tim Ahrens to avoid fiddling with details too early), it soon evolved into a bigger project combining a multitude of influences which up until that point had only been floating around in my head, including my mother’s 1970s typewriter with its wonderful numbers, Hermann Zapf’s Melior as well as his forgotten Mergenthaler Antiqua (an interpretation of the Modern genre), and old German cartographic lettering styles. Font editors — why choose one when you can use them all? 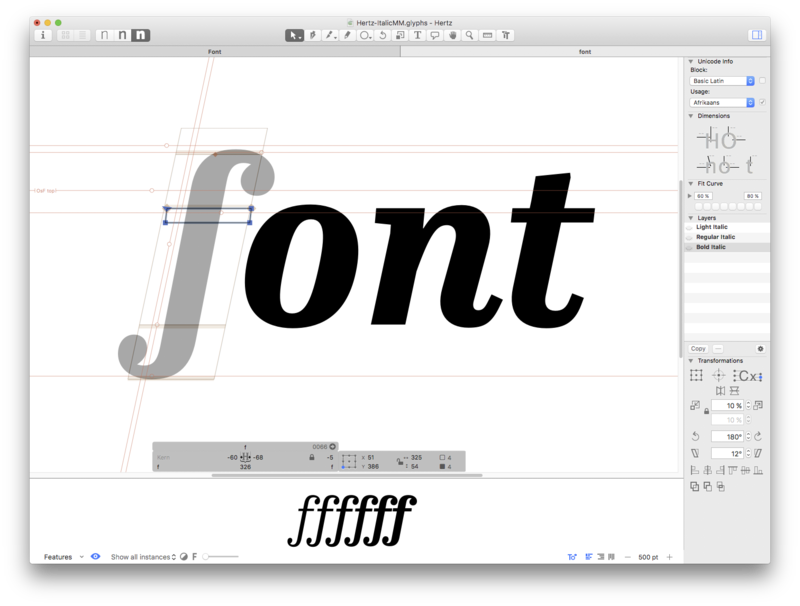 I started drawing FF Hertz in FontLab Studio 5, then switched to RoboFont and finished my drawings there. Kerning was done in MetricsMachine. Final production for the release took place in FontLab Studio again. Bernd Volmer did the final production and TrueType hinting at FontFont. The Python FontTools were heavily involved in producing the resale fonts. 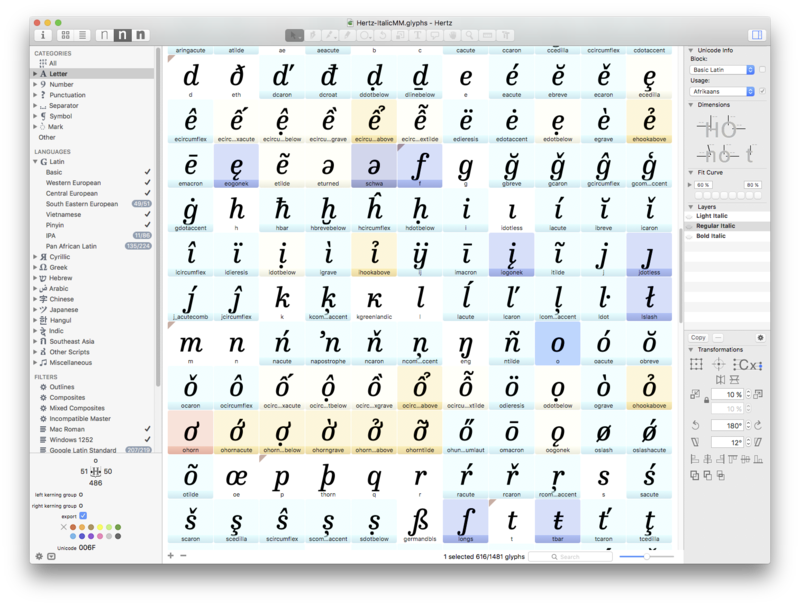 At the moment my time is very limited, but whenever I find some spare time, I continue to expand FF Hertz with more languages in the Glyphs font editor.